Oh my goodness, is it cold enough for everyone? I think I've gotten so used to the unseasonably mild weather that this cold snap has really caught me off guard. But cold weather is the perfect time to dig out all those cosy jumpers so out came my Joe Browns jumper from Simply Be. Now I bought this a while back and to be honest, I didn't know how to wear it. I fell in love with it, but somehow I couldn't get it to work for me. I'm 5'3 so I think that played a part in it. The skirt part of the jumper was too long. It fell just above the knees and made me look shorter than I already was. Now sensible Cathy would have returned it for a refund. But nope, I kept it and kept looking at it. I could have worn it with leggings and boots as a short jumper dress, but that really wasn't my style. You guessed it, I cut the bottom layer off. Now, I'm quite happy to cut up and alter older clothes, charity shop finds etc, but I don't normally do it with brand new items. But, for me, I think it works. 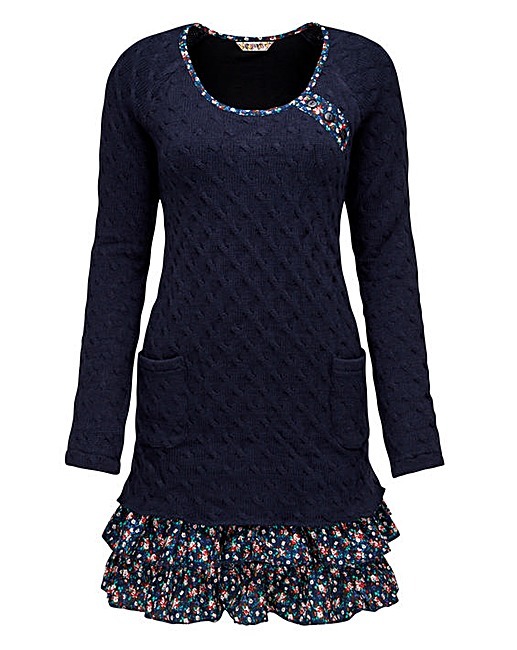 Oh look - it even has pockets too! 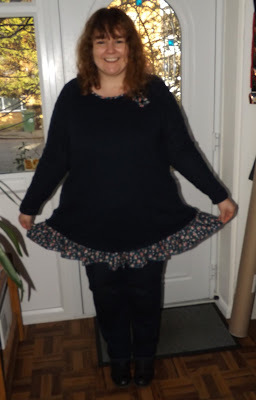 The underskirt is attached to a lining that goes up the complete length of the jumper. 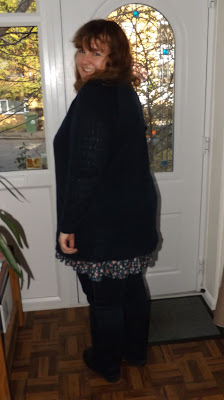 Making it extra cosy without feeling too bulky, this is a size 22. 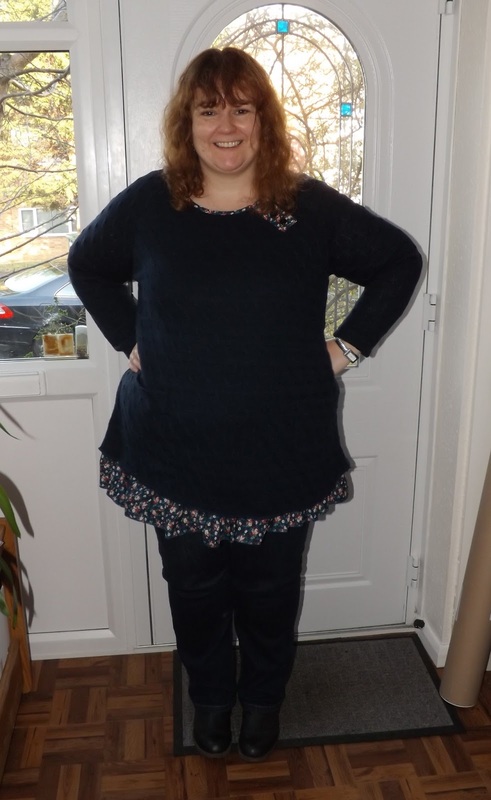 I now have a jumper that I love wearing and have worn lots in this cold weather. 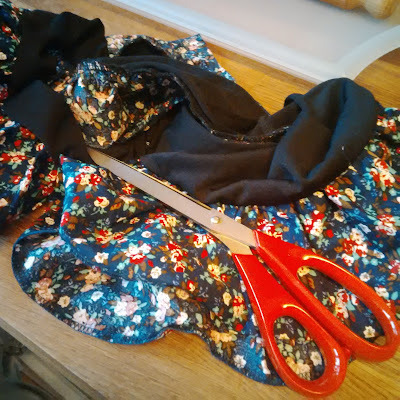 While I wouldn't necessarily advise buying new clothes to cut up, it is worth looking at items that you don't enjoy wearing or have fallen out of love with to see what you could do to give them a new lease of life. And what's happening with the bits I cut off? The plan at the moment is to find a cheap denim skirt or dress so that I can sew a ruffle hem onto. And if I have enough left over, maybe a few fabric brooches as well. You look fab!! 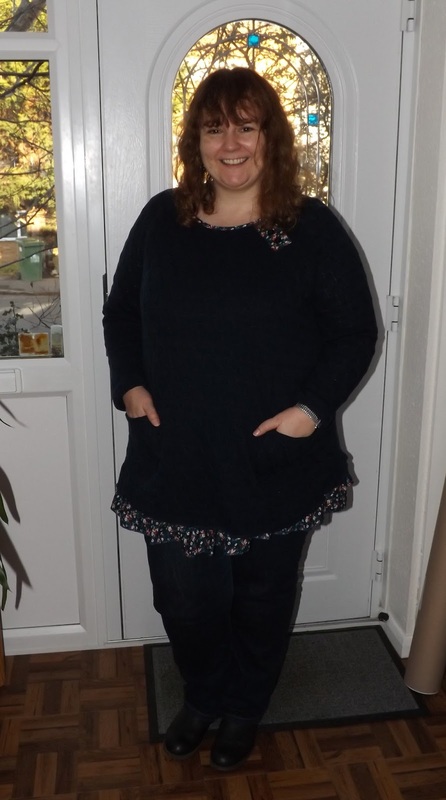 I have lusted over this jumper for such a long time! I am so tempted to treat myself to it! I'm 5'3 as well and I was a bit worried where it would sit! What a great idea of trimming it to suit your needs! My sewing skills however would not be up to the job! Hehe! You look so pretty!!! :) And the jumper looks like nice too. Great idea to cut off the lowest layer. It's a great idea! And it's a great way to get things to suit you and what you like to wear. I like some of Joe Browns stuff.